What an amazing hostel! Modern facilities, great staff and just few minutes walk away from either the city centre or the train/bus/coach stations! I definitely recommend! The hostel was wonderful, the design of the spaces is really interesting and a fun environment to stay in. My only complaint was that the bar is listed on google as being open late night but we didn't find this to be true. They gave us 118 which we didn’t know at the time was there preserved prison room and it was very stark. Beds were decent and there was plenty of space for our things. Being there one night wasn’t a big deal but it was very prison like. Not my favorite room. When we got back they tried to give us the same room but we asked for a different one. We got 110 which was very nice and had we stayed longer I would have preferred. Bathrooms were clean, showers were powerful and they had some fun games. We stayed in the 12 bed attic room - it would’ve been perfect if it weren’t for so many beds squashed in! Two single beds were crammed side by side with only a few inches between them. Difficult clambering over people to get to the corner beds too, and there was some drama about people not sticking to assigned beds. Otherwise location handy as right by the station, the bathrooms in the rooms clean, although it was difficult to stop waiting leaking out of the shower into the general toilet area. Really good hostel. Was 5mins walk to the bus/train station. Which was really convenient. Also about 20mins walk to the centre of town. The 4 man bedroom was tightly packed though. And three of the lockers were on the base of a bed. Which was a bit awkward using when someone is asleep. Breakfast was buffet and for €4, which was reasonable. The staff were extremely friendly. Only bug, was a slight lack of hostel related activities. So there wasn’t too much socialising with other guests. This hostel was very clean and the staff were incredibly friendly and helpful. We had room 105 and this was OK; however it would have been more helpful to have a table to somewhere you could rest your items. At night time, it was incredibly noisy with drunk teenagers screaming down the corridors all night. There was also a fire alarm which went off at 2am; however the fire alarm in our room did not go off and therefore we were unsure whether it was even our hostel. Overall, not a great stay. 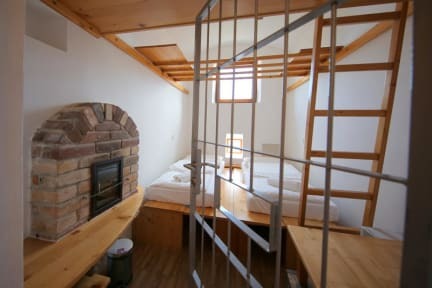 I stayed at Celica at the end of my trip in Slovenia, having stayed in another hostel when I first visited Ljubljana. The dorm was awful. No bunks, just single beds so close to each other I could have snuggled the person next to me. Nowhere to put anything near your bed. No privacy at all. I had nowhere to charge anything. Locker was really small. 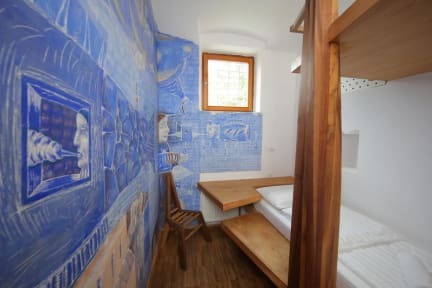 I've stayed in a lot of hostels, and for the price, this was not great. I moved into a private room for my last night. Stay in a private room!